If you’ve noticed that your energy bills have been rising, it’s quite likely your home’s fiberglass insulation needs to be replaced. Good home insulation keeps indoor temperatures cool during summers and warm during winters, but when insulation is in poor condition, your HVAC unit must work harder to maintain your home’s comfort level. This can result in a higher energy bill. Proper insulation reduces an HVAC unit’s workload, which can lead to appreciable energy savings. If you want to be sure that your insulation is in optimal condition, call on the experts at 31-W Insulation. In addition to these benefits, you can expect a quieter home after your insulation is replaced given that good home insulation muffles outside noises. 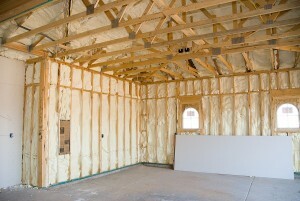 Contact 31-W Insulation today for more information about our fiberglass insulation services. We will gladly schedule a no-obligation consultation at your Lexington home to discuss your needs and budget.